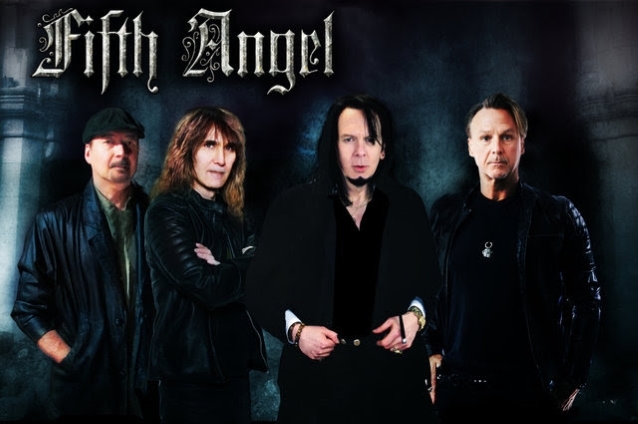 American heavy metal band Fifth Angel was formed in the suburbs of Seattle in 1983, and released their self-titled debut album in 1986, followed by their second album, “Time Will Tell” in 1989, but decided to disband in 1990 after some line-up problems. However, they came together in 2010 for a few live shows, including a headlining slot at Keep It True Festival in Germany, and then again in 2017, making their comeback in 2018 with “The Third Secret”, after almost 30 years of inactivity. The album was released on October 26, via Nuclear Blast. 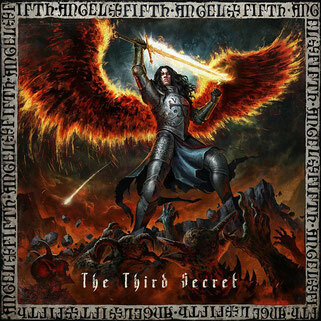 In true heavy metal fashion, “The Third Secret” is a high-energy album, that will get you moving either headbanging, practicing your air-guitar, or simply singing along to the rather catchy choruses. Combining new elements and fresh ideas with some old school metal vibes, Fifth Angel created a very enjoyable and dynamic album that will definitely appeal to many metalheads. And the album is on to a great start with hard-hitter “Stars are falling”, where there is a neat balance between the heaviness of the guitars and drums and the melody of the vocal lines. And speaking of vocals, Kendall Bechtel does a really amazing job, not only on this track, but on the whole album, bringing depth and emotion as for instance on “Can you hear me” or “Fatima”, while also showing his range and versatility which at times seems to channel the late Ronnie James Dio while at others Bruce Dickinson. The second track is “We will rise” where the chorus is pretty sing-along-ish and the guitar work is solid and energetic all the way through. “Queen of thieves” keeps the momentum of the album going, with groovy drum work from Ken Mary, a rather good guitar solo, and nice vocal melodies, but Ken Mary’s best work is to be found on the next track, “Dust to dust”, where the drums and the bass work well together to provide a good balance for the powerful vocal delivery. Things slow down half-way through with the sorrowful and melancholy power ballad “Can you hear me”, emphasis on ‘power’, because, even though it has a mid-tempo, it’s a rather powerful track, both lyrically as well as musically. The album picks up pace again with the rocker “This is war”, which boasts another catchy chorus and some chugging guitar riffs. The atmospheric “Fatima” is the wild card of the bunch as it starts with church bells and almost acapella vocals, but soon the guitars kick in and deliver probably the best solo on the album. It actually makes for a nice breather, a well-deserved relaxing point, between the heavy cuts of the album. The title track is indeed heavy, albeit a bit predictable in its flow and doesn’t deliver any surprises, being more of a filler song. On the other hand, both “Shame on you” and “Hearts of stone” are some of the best tracks on the album, well-written and well put together, filled with a healthy dose of energy and bombast. With gripping vocals, intense guitar riffs, hooky melodies and a polished production, Fifth Angel has delivered quite an impressive collection of songs, while also bringing some 80s nostalgia into play. It’s a nice mixture of modern and traditional, familiar but still surprising, which not many can pull off with such gusto.